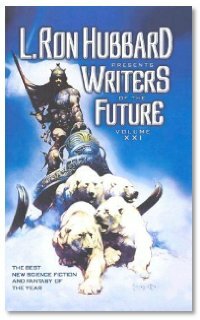 L. Ron Hubbard Presents Writers of the Future, Vol. 21 by Algis Budrys (Editor). This week we talk to three authors whose work is featured in the new book L. Ron Hubbard Presents Writers of the Future, Vol. 21. A book that is the 21st volume in the anthology series sponsored by Hubbard's Writers of the Future program. We talk to, Sidra M.S. Vitale about her story "My Daughter, the Martian"
Some very interesting conversation with some very cool new writers. In the Library Segment, Michael and Summer give you the scoop on what's new in the studio this week. Evo feeds the beast this week. Meat thief? The discussion about "In the Flue" brought back some serious memories. I had the fortune, or misfortune, to know Walt & Leigh Richmond back in the mid seventies. On of their first sales to Analog was "Shortstack" where the technical crux of his story was remediating the air pollution in Southern California and generating power as a side issue. Walt happened to have designed such a stack system back in the 1950s. He had some interesting test films of it shot on 8mm film. I wonder what became of his film archive after his death? That was a team, a physicist married to an anthropologist who wrote science fiction to fund their own pet research projects. I remember Walt teaching two classes to undergraduates. One in Engineering Dynamics and another in "Science Fiction: Structure and Theory"
Like I said... some serious memories your article about John Schoffstall's "In the Flue" brought back. John is a friend of mine from the Online Writing Workshop. His writing is amazing, and his critiques are always insightful, fair and helpful. I was thrilled when I heard you guys were interviewing him! Thanks for that, it was a really nice surprise. 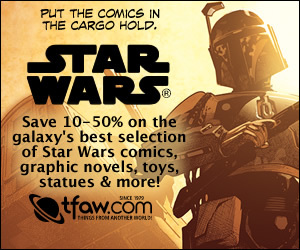 Good job covering the Writers of the Future.